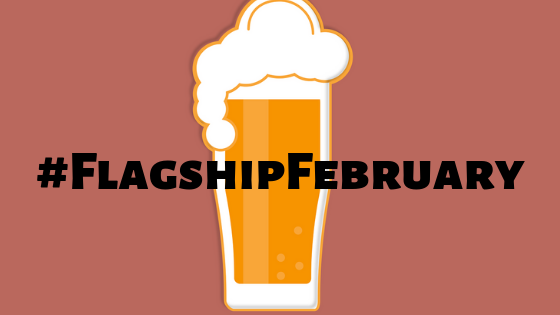 A new trend has taken place within the last month or two called Flagship February. 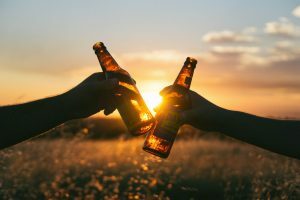 The idea emerged as a calling to all beer lovers to remember their roots and the beers that have helped shape the craft beer scene throughout the years. 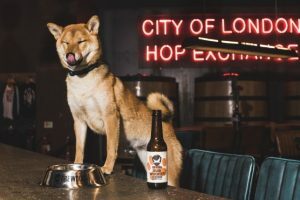 These days, breweries are releasing new beers at a rapid pace, which is excellent, but the classics are quickly cast aside because they aren’t trendy or modern, despite being some of the most consistent beers still in existence. These beers are still mass produced for a reason, so we want to highlight some of the all-time greats as a reminder that flagship beers never fail as a go-to option in a pinch. Although Dogfish Head has been around since 1995, they are still one of the world’s largest craft breweries, largely thanks to their 90 Minute IPA. 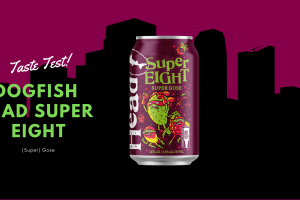 While Dogfish Head has expanded beyond this beer with tons of other great options, the 90 Minute IPA was the first continuously hopped IPA, which gave the beer world something that they never saw before. Sierra Nevada was one of the craft beer pioneers with their flagship Pale Ale. Brewed initially back in 1980, Sierra Nevada Pale Ale was something that the beer scene hadn’t seen at the time. The beer contained Cascade hops and delivered a balanced blend of hops and malt. Sierra Nevada’s Pale Ale is a smooth-drinking 5.6% beer that is still a perfect gateway into the wide world that is now craft beer. No matter the situation, this beer is something that you can always fall back onto. Lagunitas stormed into the beer scene and was one of the fastest growing breweries in the country. They burst onto the scene with their flagship beer, Lagunitas IPA. The IPA has been the brewery’s number one seller and is a classic, well-rounded IPA but incorporates caramel malt barley to balance out the hops and make this a beer that will never let you down. if you want an easy-drinking IPA. Hailing from the oldest operating brewing company in the U.S., Yuengling Lager is a king of the category. If you step into a bar in Pennsylvania and ask for a lager, you’re going to get a Yuengling, which is never a bad thing. This flagship was introduced back in 1987 and is still going strong today, counting for most of the brewery’s sales. Yuengling’s Lager is a staple in the beer world, and a delicious lager is a great option that can carry you throughout an entire day. Back in 1984 Jim Koch leaped to get into the beer business and started The Boston Beer Company. The company inserted itself into the industry with their Samuel Adams Boston Lager, a 4.8% ABV Vienna Lager, and Koch himself was going bar to bar to sell his beer into pubs. This beer started a revolution, and Sam Adams Boston Lager became a household name that is still going strong. The beer itself brought a new flavor to the craft lager scene and took off with beer drinkers, making Sam Adams a household name.